The primary testing facility was recently retrofitted with a whole home energy monitor, which allows us to finally get a grip on the energy used by our electric oven as the Kill A Watt cannot handle that beast. Additionally, the facility gifted itself an electric fryer for Christmas. Perfect chance to compare energy use of the oven to new kitchen gadget, or just an excuse to fry things… why not both? Both resident taste testers agreed that the fried chicken things were better. The texture was superior and there were no off flavors, which were presumed to be from the slight burning on one side of the oven-cooked samples. 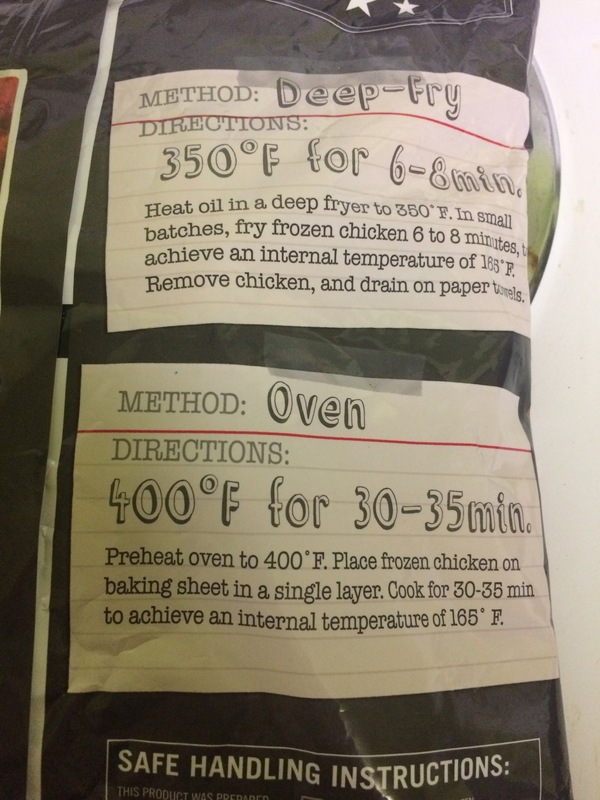 According to the package instructions, the target internal temperature for the chicken things was 165°F (for food safety). The minimum listed time was used (30 minutes for the oven, 6 minutes for the fryer) after which the internal temperature was checked with our trusty Thermapen. In both cases, the internal temperatures were between 205-210°F. While this obviously overshot the target (and perhaps meaning that cook times could be reduced), it did so by the same amount in both samples so impact on tasting should be minimal. Frying wins! In addition to using significantly less energy than the oven, the results were better and the cooking process was faster. 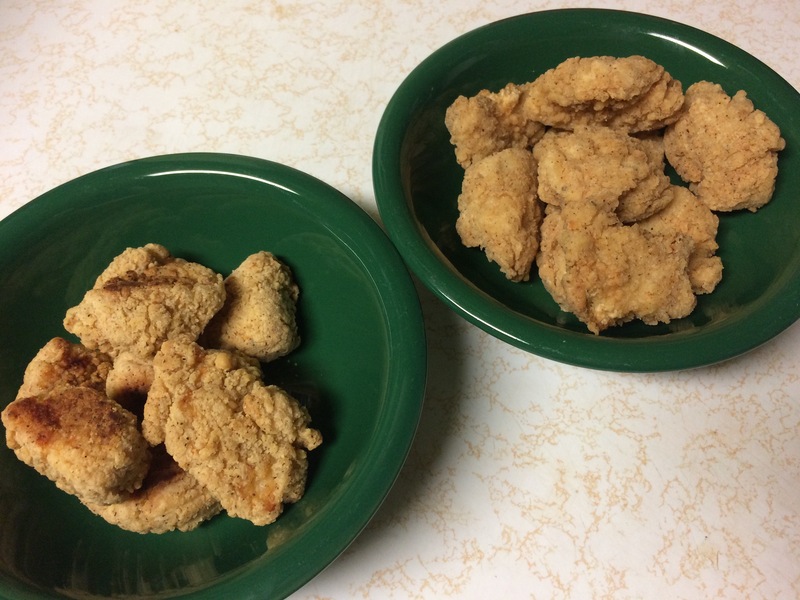 It did take marginally longer to preheat the fryer (11 minutes vs 8 minutes for the oven), but that was more than made up for with the shortened cook time. Overall, from starting the appliance to having finished noms was 38 minutes for the oven and 17 minutes for the fryer. Can we better isolate the oven energy use (e.g. measure in the summer when the furnace is off, minimize other items that cycle like the water heater)? How long do items really need to be cooked to reach 165°F? 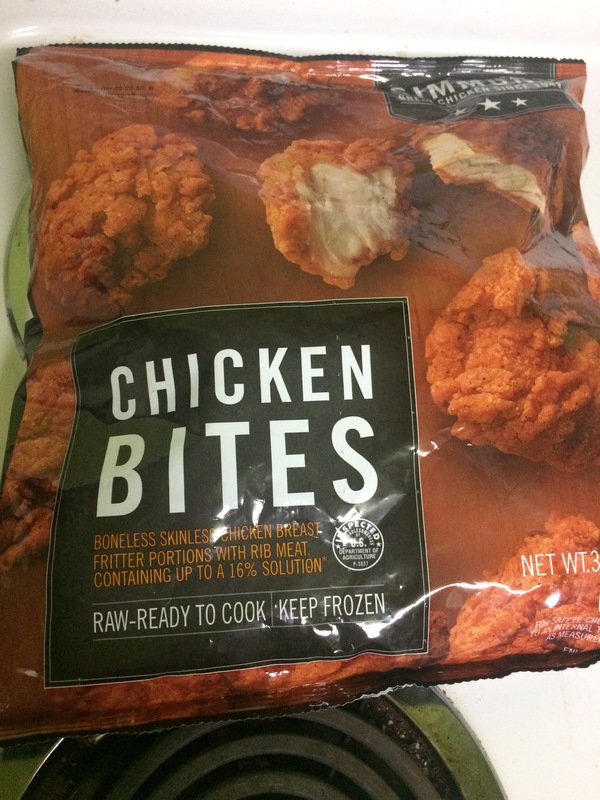 Would elevating the chicken things on a cooling rack above the sheet pan prevent the off flavors?